Does your conference need a keynote speaker who will remind everyone that laughter is good, to enjoy every moment and focus on the positives? Does your company need help dealing with stress and negative attitudes? So you can focus on what is important – and learn to love, rather than loathe, Mondays. Jean has traveled extensively throughout the country offering keynotes, pre-conferences and breakout sessions to a wide variety of audiences. Jean speaks on many different, and important topics. Browse Jean’s Motivational Keynote topics below. Do you know we can prime our brains to focus on positivity? That the outcome of each day often depends on the choices we make? We know happiness is an inside job – it is our decisions on how we live our life that determines our personal and professional success. Changing attitudes, taking responsibility, and making authentic choices are not always easy. 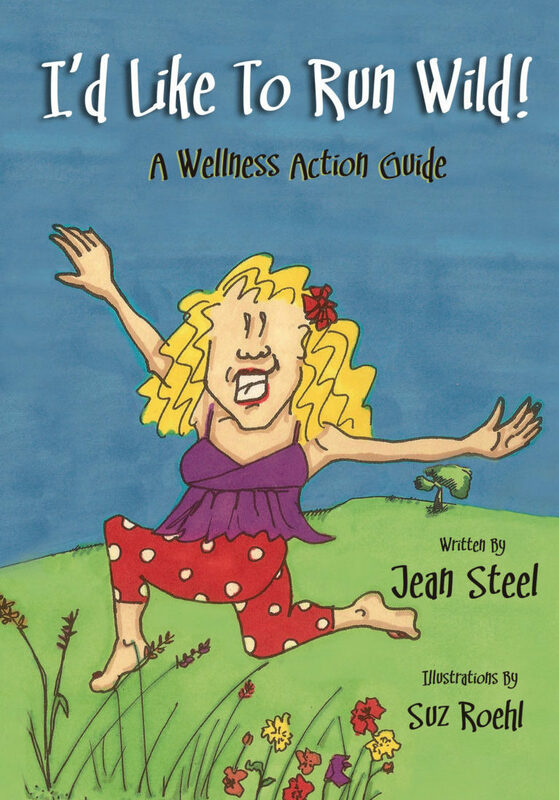 With an engaging mix of personal experiences, real life examples, and surprising facts, Jean shares her tips on becoming positive and shows us how to step up, run wild and live our precious lives to their fullest. Never presuming that what works for her will work for us, Steel spends the remainder of the time teasing out what WILL work for us. From music to mountain-climbing, hobbies to humor; from pets to pampering, from journaling to joining—the techniques are as many and as varied as we are! Like it or not, most of us work in the accepted nine-to-five, Monday-to-Friday world. And since most of will spend a good deal more than the 40 hours each week that is expected of us, it would be a crime if we didn’t enjoy it. 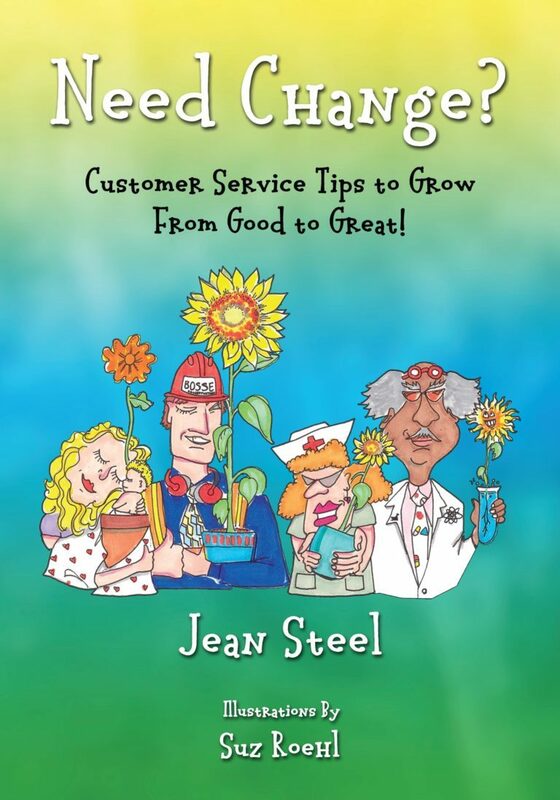 In this presentation, Jean Steel tells us where our attitudes come from, and how they affect our communication, morale, teamwork, and productivity. With the emphasis on taking responsibility and the power of choice (did you know that you can decide how to feel? ), Steel shows us how to identify the stressors and limiting thoughts that hold us back, and to cultivate the powerful techniques that can bring about real change. One of the most common phrases on a typical resume is this one: “I work well independently or as part of a team.” Why? Because company leaders know that good teamwork builds loyalty, improves morale, gets the job done more quickly and efficiently, and increases profits. In this revealing program, Jean Steel helps us to understand why teams work well, as well as when and why they don’t. With a firm grasp on the goals and guidelines of teamwork, she introduces us to various styles of interaction, and then demonstrates lessons in diversity, acceptance, cooperation, and the folly of gossip during a series of games and activities. For the first time in history, four distinct generations are working and volunteering side by side. And according to one study, over 60% of workplaces are experiencing intergenerational conflict. No longer simply disagreeing over music and fashion, today’s generation gap issues include language, work ethic, and attitude, just to name a few. But in any professional setting, employees and managers need to learn to communicate respectfully and effectively with each other, regardless of age, background or experience. In this engaging and entertaining keynote presentation, Jean will present unique, practical ways to create an understanding of generational differences, and show you how to embrace those differences to build a happier, more productive working environment.